You might think you can't fail personality tests, but recruiters can use them to fail you. This is a guest post by Jennifer Feldman. The use of pre-employment personality tests as a screening tool has skyrocketed recently, in part because research has shown there is a correlation between personality fit and employee engagement. If an employee works in a position that does not match his or her personality, it will cause lower employee engagement. Low employee engagement subsequently leads to lower productivity and higher turnover. The average cost of replacing a poor hire is estimated at about 1.5 times the cost of that worker’s salary and benefits combined. To keep those costs down, more than ever companies have embraced the idea of pre-employment personality tests. If you're applying to one of those companies, you need to prepare for their tests. With that in mind, here are five of the most common pre-employment personality tests. What was the most recent pre-employment personality test you've taken? 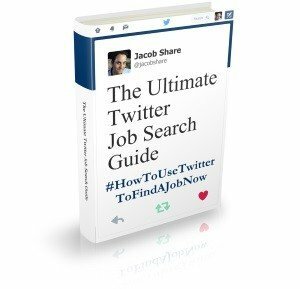 Free bonus: Download a PDF version of this article to use as a handy reference. The Caliper Profile has been used by employers for almost 50 years and is extremely popular. This test provides information on how personality traits correlate to job performance by using a variety of question types, including true/false and multiple-choice questions. The most common type of question provides you with a series of statements, and your task is to choose which statement best and least aligns with your point of view. A unique aspect of the Caliper Profile is that it examines both positive and negative qualities, aiming to give employers to get a more well-rounded picture of a candidate. Here's a sample Caliper Profile report. Employers can customize the assessment to specifically measure certain critical behaviors. They will receive a score report that indicates job-fit match or information about how appropriate a candidate’s personality is for a role. It is important before taking the Caliper Profile to do your research and understand which behaviors are targeted for which roles. Here is a great resource for preparing for the Caliper Profile. It includes practice tests, information about what employers are looking for in candidates, custom feedback based on job level, and information about what to expect on test day. One of the most well-known tools for mapping employee personalities is the Myer-Briggs Type Indicator (MBTI), used by many Fortune 100 companies. An individual can fall into one of 16 personality types. The MBTI is made up of 93 questions that are presented at a 7th-grade reading level. Every question presents you with two choices—either A or B. Here's a sample MBTI assessment report. Most candidates have heard of this test, but what you may not know is that, according to CPI (the test’s distributor), the MBTI is not considered ethical to use when hiring or determining job assignments. Rather, the MBTI is more appropriate as a tool to try and understand how a candidate will perform in a group. It should not be used for determining if an individual is well-suited for a specific position. Also, the test is not normalized, so scores cannot be easily compared between potential candidates. This is extremely important to keep in mind. The SHL Occupational Personality Questionnaire (OPQ32) has been around for over 30 years. It's used to give companies a picture of how specific behaviors may relate to a candidate’s performance. The test consists of 104 questions that measure 32 characteristic traits. On the exam, candidates are presented with four statements, and they must identify which of the statements best and least describes them. The OPQ32 was developed with relevant and suitable scales for the workplace and has been validated for this purpose. Here's a sample SHL OPQ32 Candidate's report. The OPQ32 offers employers a custom report with a simple graphical summary of the candidate’s performance. These reports outline strengths and weaknesses in detail, and the normed results can be directly compared to other candidates applying for the position. To learn more about this test, check out this practice pack, which features practice tests, customized feedback, and study guides. The Hogan Personality Inventory (HPI) was introduced in the 1980s and originally given in a socio-analytic context. Currently, the HPI has been adapted and is used as a job performance predictor. The inventory has 206 true/false questions that are to be completed in about 15–20 minutes. The HPI evaluates seven primary scales, six occupational scales and 42 subscales. The six occupational scales measure service orientation, stress, tolerance, reliability, clerical potential, sales potential, and managerial potential. The HPI is administered online with an instantaneous score report. The score reports have been normed on more than 500,000 candidates around the world and validated for use in more than 200 different occupations, making the inventory a dependable tool used to evaluate an individual’s temperament and how it matches the demands of the open position. This is what a sample HPI interpretive report looks like. The HPI score report lets employers know how a potential candidate might act in certain work-related circumstances. It also notes interview style and classifies candidates into categories. With that in mind, pay special care to research about the various interview styles. To become more familiar with the exam, take a look at this Hogan personality test prep pack, which features 266 Hogan–style personality test questions. The DiSC Behavior Inventory (DiSC) identifies a candidate’s main traits and is based on the four-style behavior model, the oldest of all personality tests; it has been around since around 400 B.C.E., the time of Hippocrates. Companies use the DiSC as a tool to help recognize a candidate’s professional characteristics and how he or she works as part of a team. The DiSC is one of the simpler exams, and it is much shorter than other tests, with only about 12 to 30 questions. Candidates are provided with adjectives or short statements and asked to choose which applies to them the most and the least. One major reason for the DiSC being a common personality test used by many employers is because it is one of the cheapest on the market, typically under $100 dollars per test. Here's a sample DiSC personality test. The DiSC may be popular but it is considered a temperament measure, not a pre-employment measure. The results of this measure only provide data on the relative strengths of a single candidate. This means employers cannot compare between scores of two competing candidates, similar to the MBTI above. Also, the DiSC is not considered a valid predictor of job success. Keep this in mind when taking the exam and after getting your results. What can you do to pass your pre-employment test? 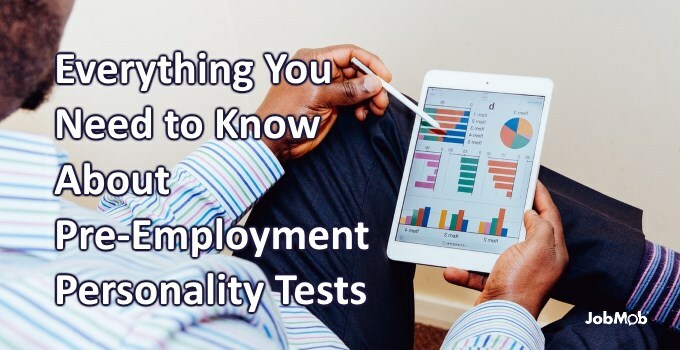 While it's essential to understand what to expect on your job interview day, it's even more important to prepare for pre-employment personality tests in advance. When deciding on the best preparation method, start by asking your recruiter which test you are going to face, and then match your practice resource accordingly. If the recruiter is unwilling to disclose this information, it is still likely to be available on the Internet. In general, I recommend using this personality test practice pack based on the Big Five model. This pack is a comprehensive resource that includes practice questions and explanations, analysis of the top fifty traits employers are looking for, personalized feedback based on career level, and a complete guide to personality tests. Keep in mind that a personality test is a quantifiable way for employers to see if a job is appropriate for you. However, it can also be helpful in ensuring you are not placed in a role that is not suited for you. At the end of the day, personality tests serve not only to help the employer but also the candidate. Jennifer Feldman is a speech and language expert and blogger at JobTestPrep. She specializes in writing about the employment hiring process. READ NEXT: How Do You Score on this Quick Human Resources Personality Test? 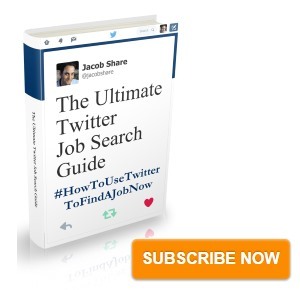 Subscribe to JobMob via RSS or email and follow Jacob on Twitter for more job search tips about getting best results.